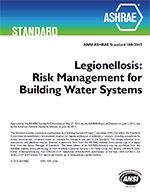 ASHRAE Standard 188 establishes minimum legionellosis risk management requirements for building water systems. Included in this publication are: description of environmental conditions that promote the growth of Legionella and informative annexes and an bibliography that contain suggestions, recommendations, and references to additional guidance. 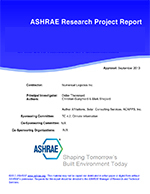 In addition, content throughout the document is revised to bring it in line with current technical standards. Standard 188 is essential for anyone involved in design, construction, installation, commissioning, operation, maintenance, and service of centralized building water systems and components. For instant digital access for up to 9 users, select the Multi-user PDF option during checkout.